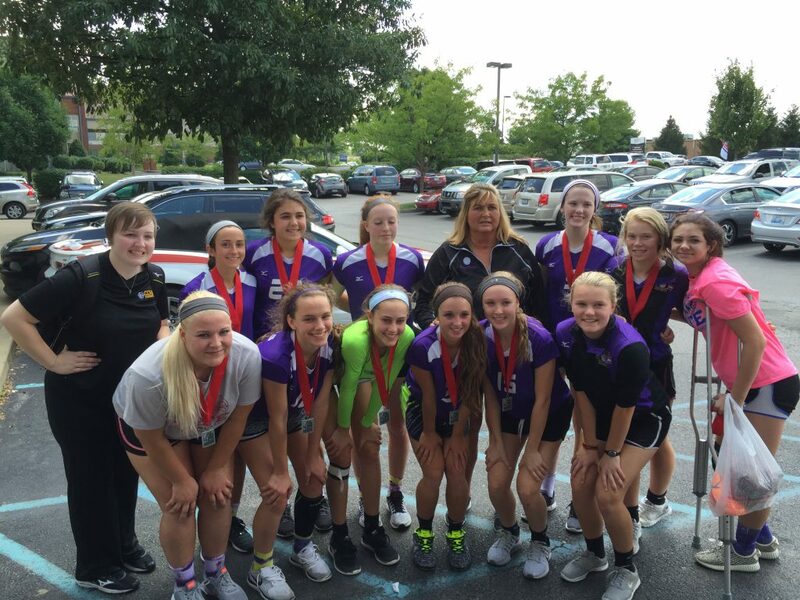 Today the Lady Camels Varsity Volleyball team finished 7-2 overall and runner up in the Silver Medal round at the Bluegrass Games. CCHS defeated perennial volleyball powerhouses such as Owensboro Catholic and Henderson County, both Final 4 teams in 2015, to reach the finals of the Silver Medal round. The Lady Camels put up a valiant fight losing in 3 sets against Kentucky Country Day 21-19, 9-21, 13-15.